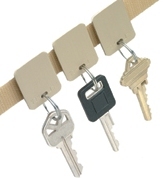 The sturdy plastic Key File storage panel is fitted with Velcro® material to securely hold 22 Velcro® backed key tags and split rings (which are included). 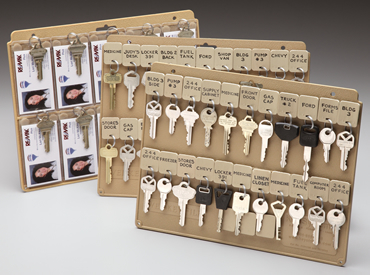 The Card Key File holds 10 plastic pouches for card keys. 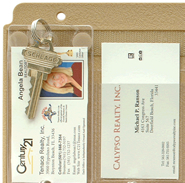 These key holders fit neatly into hanging or conventional letter or legal size file folders. They are easily expandable by adding additional panels according to your needs. Each key panel has pre-drilled holes so it may also be used in 3-ring binder. When you buy 6 or more Key Files and/or Card Key Files : $26.15 ea.